Alfred was born in Newbury on or about 24 March 1891 (in the 1901 census, taken on 31 March his age is given as ‘1 week’). He was the third child, second son of Edwin Charles Geater and his wife Rosannah née Hunt. His siblings were Edwin David (born 1887), Elizabeth Louise Rose (1889), Edith Mary (1893), Winifred Alice (1895), Daisy Ellen (1897), Thomas George (1900). At the time the 1901 cenus was taken the family were scattered: the eldest child, Edwin aged 13, was already working as a grocer’s assistant (probably an errand boy) and was boarding with Ellen Smith (a widow) and her three children at 6 Hereford Place, Bartholomew Street; Elizabeth, aged 12, known as Lizzie was an ‘inmate’ at the Servants’ Training Home in Kennet Road – the term ‘inmate’ suggests that this may have been a small scale ‘industrial school’ – a school to which delinquent youngsters could be sent to by magistrates who determined that a custodial sentence was appropriate punishment for whatever misdemeanour the child had committed; Albert, aged 10, was boarding with Alfred Perris and his family in Old Newtown Road; Edith (7) and Winifred (5) were boarding with Thomas Cook and his family at 2 Vine Cottages (off Bartholomew Street); Daisy was a ‘visitor’ at the home of John New, the Boat House, West Mills; the youngest sibling, 8 month old Thomas, was also a ‘visitor’, in his case with Thomas Goatley and his family in Riverside Cottages (better known was the Weavers’ Cottages) in West Mills. in Alfred's time) - with the green door. parents Edwin and Sarah Ann Perris. Alfred was born in Newbury on or about 24 March 1891 (in the 1901 census, taken on 31 March his age is given as ‘1 week’). He was	This unusual dispersion of young children may have been the result of their father’s illness (Edwin Charles died early in 1902) – perhaps his illness was deemed contagious (eg tuberculosis) and the children were thought to be safer out of the family home. However, the dispersal did not end with their father’s death and it seems more likely that they were being fostered out by the authorities as an alternative to the workhouse. Albert was probably luckier that his siblings in that he developed a relationship with the family he was fostered with, in 1911 he was still with them, despite being aged 20 and supporting himself financially in a decent job as a printer/compositer with a local firm. In contrast his sister Winifred was in an industrial school in Wantage. 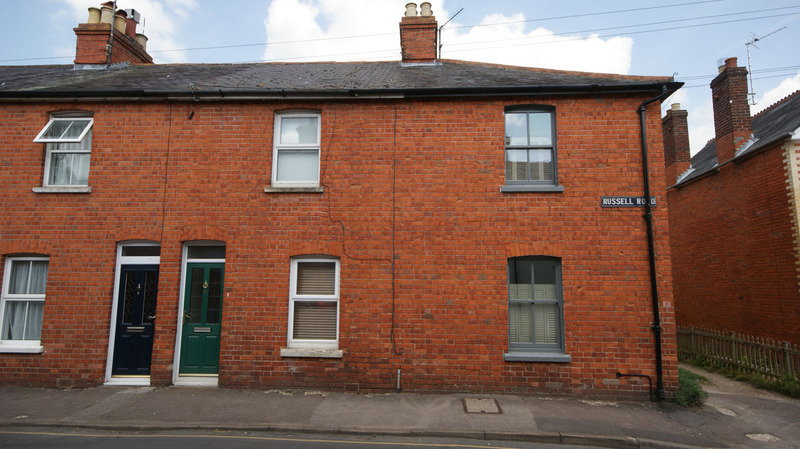 Edwin was working for a grocer in Surrey; Edith had found (or been found) employment as a domestic servant far from Newbury; Daisy and Thomas were still being boarded out, at this date with a widow, Ellen Kimble, in Stockcross. Lizzie’s entry in the 1911 census has not been found, but it is likely that she too had been found work away from Newbury – she married Thomas Jenkins in South Wales in 1915. When war broke out in 1914 Albert was not one of the hundreds of thousands of young men who joined up in the opening months of the hostilities, he did not volunteer until August 1915, when he left his job with Nichols & Son (printers and stationers in Wantage) and joined the local Territorials (4th Battalion, Royal Berkshire Regiment). By this time the reality of modern warfare had become apparent, he was not volunteering for a war that would be over by Christmas; volunteers in mid-1915 had a good idea of what they would be facing. He would have trained in the UK, probably with the 3rd/4th Battalion (the 4th Battalion had spawned three separate battalions). The 3rd/4th (usually shortened to 3/4th) Battalion never went overseas and served primarily as a training and reserve battalion. 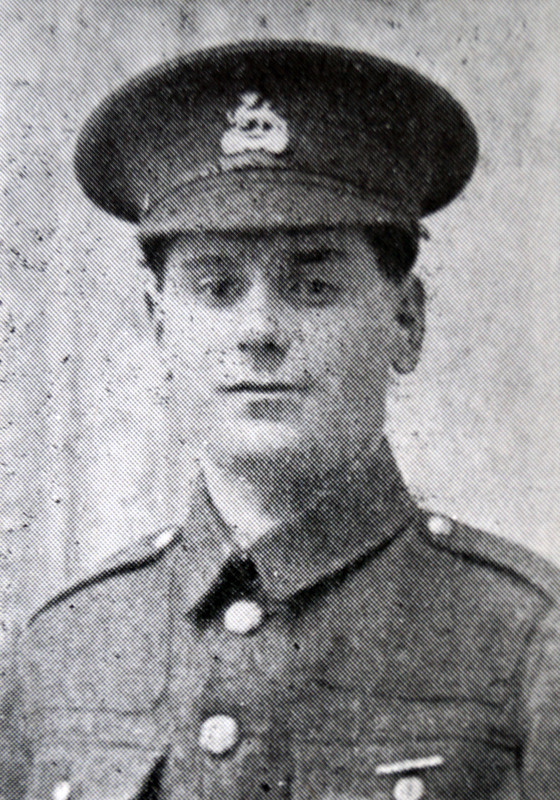 Upon completion of his training Albert would have been ‘drafted’ to France to join the 1/4th Battalion. As training took around six months this could have occurred at any time from March 1916. 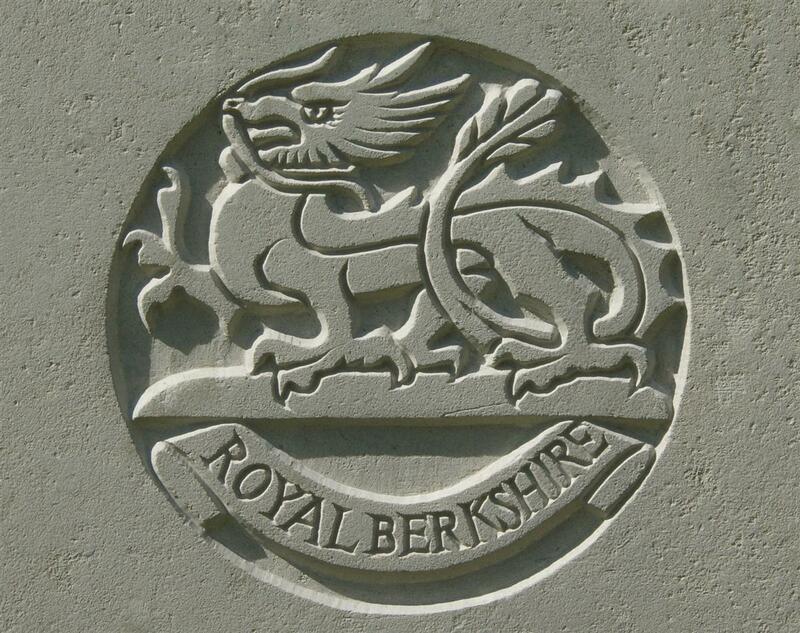 The 1/4th Battalion was a part of the 145th Brigade in the 48th (South Midland) Division. In July 1917 the division was in XVIII Corps, Fifth Army. On 31 July 1917 Fifth Army (General Hubert Gough) launched an offensive known as the Battle of Pilckem Ridge – the opening of the 3rd Battle of Ypres – better known as Passchendaele. On 16 August a second attack, the Battle of Langemarck, commenced. The aim of the attack was to advance towards the Paschendaele ridge, however, a smaller attack a few days earlier had failed to capture the Gheluvelt ridge, from which the German overlooked the ground British troops would be attacking. Many are of the opinion that Gough should have postponed his assault until his flank had been secured though the capture of the Gheluvelt ridge. However, Gough’s only response was to delay the attack by two days (it was originally planned for 14 August). The 48th and 11th Divisions of the XVIII Corps (Lt Gen Sir Ivor Maxse) each assaulted with one brigade, the remaining brigades being in reserve behind either flank. Eight tanks, allotted to assist, had been warned not to use the roads owing to the congestion of traffic; but an approach march across country was impracticable owing to the soft nature of the ground, and the order for their co-operation was cancelled. The 145th Brigade (Br-Gen D M Watt) of the 48th (South Midland Division) (Maj-Gen R Fanshawe), had a hard fight to overcome a strongpoint in the most northerly house of St Julien, where forty Germans and a machine gun were captured; the advance then met a heavy cross fire as the leading wave topped the rise of ground about two hundred yards east of the Steenbeek. This opposition came from machine guns in intact strongpoints at Hillock Farm and Maison de Hibou, a coule of hundred yards ahead, and further attempts to advance only resulted in additional casualties. Small parties were seen to reach Springfield Farm, near the objective; but none of the men returned. The 1/4th Royal Berks were stopped by the machine gun fire from Maison de Hibou, suffering severe losses (65 killed, 4 missing and 105 wounded). Albert was one of the four men reported missing. The odds were that missing men were dead, though a small proportion would turn up as prisoners. Often families had months of hope and dread before the notification finally arrived from the War Office that their father, son, brother had been officially presumed dead. However, Alfred’s family did not have to wait for long, confirmation of his death arrived after only a couple of weeks. Perhaps a comrade saw him fall, perhaps a patrol into no-man’s land stumbled across his remains? Pte Albert Geater, of the Royal Berks Regt, reported missing three weeks ago, is now officially notified as being killed in action on August 16th. He was 26 years of age, and was a printer employed in a Newbury office. He was a fatherless boy brought-up by Mrs Perris of 2, Wellington-terrace, West-fields. If his death had been confirmed by the discovery of his remains they were not recovered for burial – he has no known grave; his name is remembered on panel 105 of the Tyne Cot Memorial to the missing (which mainly commemorates those lost during the 3rd Battle of Ypres). 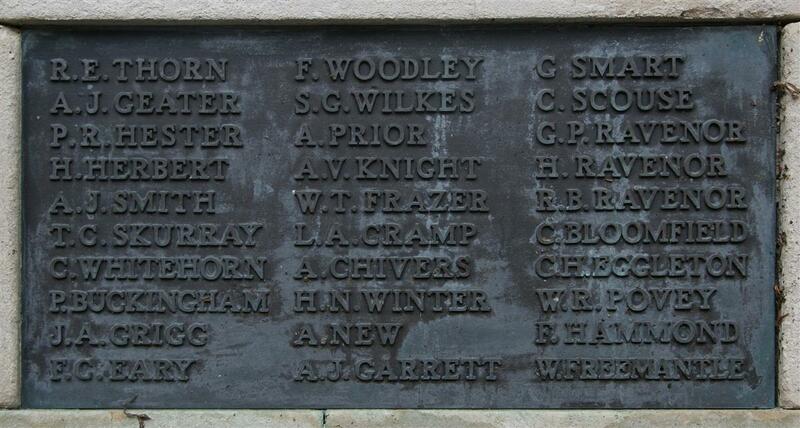 Locally Albert is remembered on tablet 12 of the Newbury Town War Memorial as well as the memorial board and roll of honour in St Nicolas’ Church, Newbury.